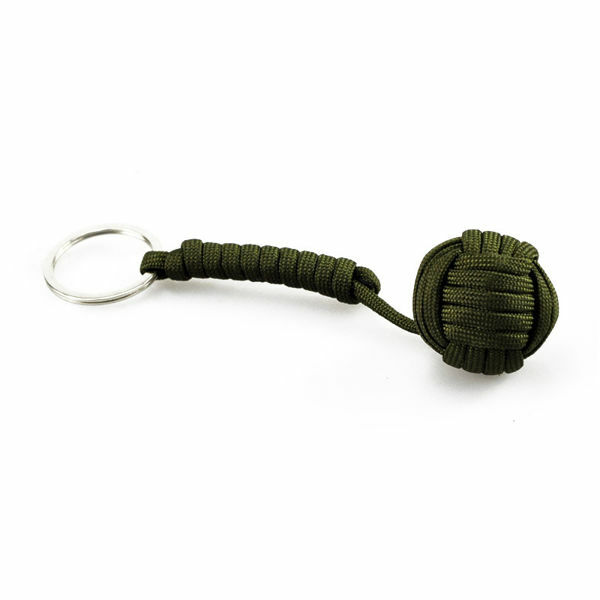 Self-defense keychain made of paracord tied into the monkey fist knot (also called as slungshot by sailors). With metal ball inside. 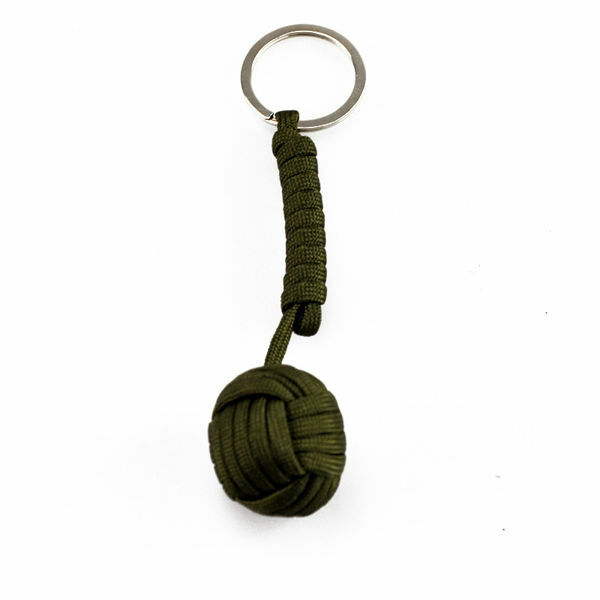 This knot is a stopper knot - a type of knot tied at the end of a rope to serve as a weight or an anchor. The item quickly became a popular self-sefense tool - it's safe and easy to use, and can be easily used by anyone. Also looks cool next to your keys. 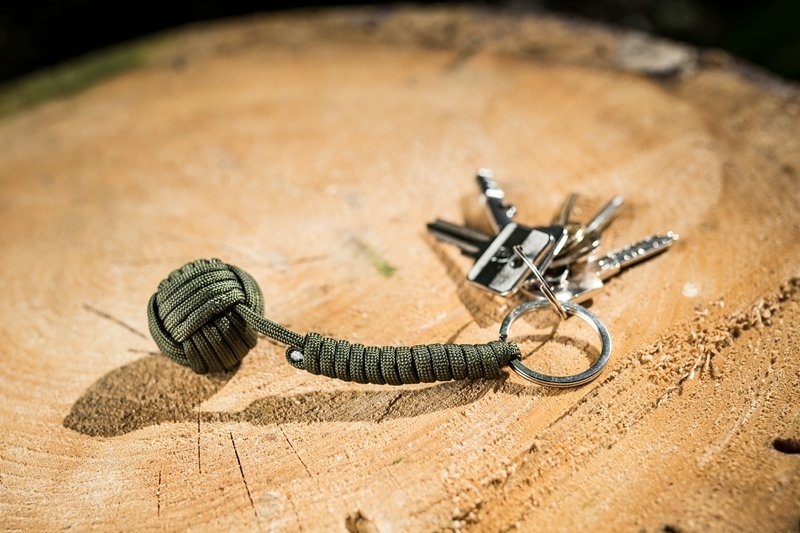 The keychain can resist an impact and load up to 300 kg. Very popular in the USA.